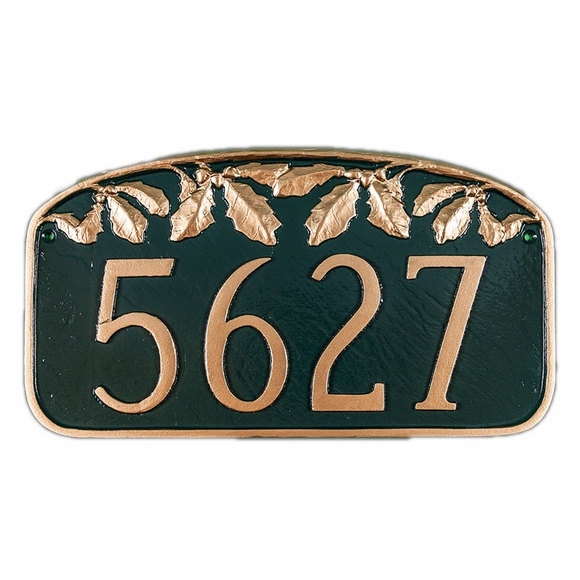 Personalized Oak Leaf Address Plaque - - one line nature theme address sign accented with a row of oak leaves across the slightly arched top. Made in USA. Holds up to five 4" or eight 2" characters. Comfort House 68096. Montague Metal Products PCS-12.